What Motivates Us To Remodel? Whether it’s improved function or design, why we need to plan ahead. Making the decision to take on a home remodeling project of any size takes some level of inspiration. 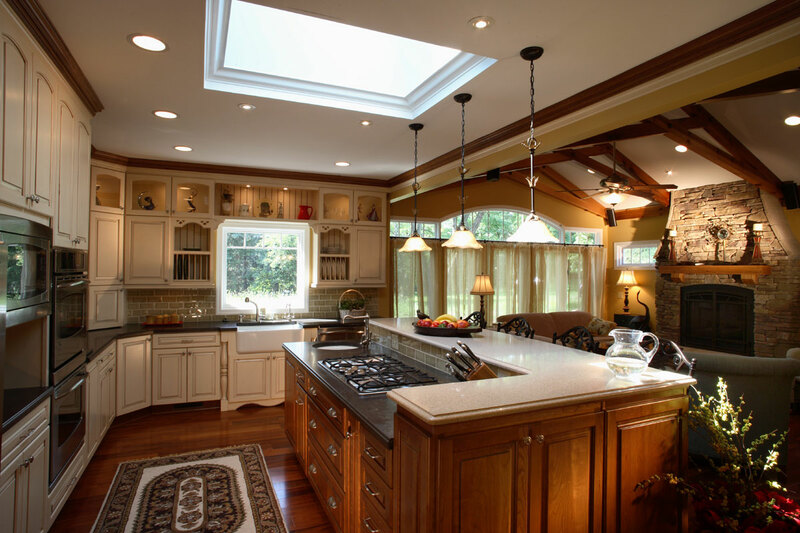 Whether it is making your home more beautiful or more functional there are a variety of motivations for remodeling. Lots of homeowners dream of new kitchens, a first-floor bedroom and bath, finished basements, or grand additions, but actually taking the necessary steps to turn those dreams into a reality requires much more motivation. So what influences us to take the next step, to call a remodeler, to invest the needed time and money to make our dreams a reality? For a lot of people it is the idea of entertaining that finally inspires us to make things happen. Whether it’s a family Thanksgiving dinner, Christmas party for friends, Fourth of July backyard blowout, baby shower, or a graduation party the idea of inviting friends and family into our homes gets projects underway. Another driving force in remodeling decisions is an aging family member. When heath issues or physical limitations arise there is often a need to make changes to the home for safety and convenience. Most people want to ‘Age in Place’ or remain independent and in their homes as long as possible. Adding a first floor bedroom and bath, shower grab bars, or widened doorways that allow for wheelchairs are the kinds of changes that a remodeler can offer which allow for continued independence. To do a job right, the planning and design phase, followed by the construction phase, takes time. If you want a beautiful home for the holidays the best plan would be to start working with a home remodeler well in advance to allow ample time to make design decisions, select materials, and prepare for the work. So whatever the motivation, the key to turning remodeling dreams into reality is planning ahead!